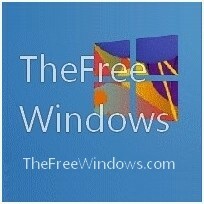 Picture editing and management is supported by many great free programs, for any job, simple or not. The first application we need, I guess, is a viewer / browser of images, that will let us select, delete, decide which of them to edit or e-mail, etc. Even if I know exactly what to do with certain pictures – edit, retouch, etc- the first thing I want is just to open and have a look at them. For this task a heavy editor is not the best option. After trying several image viewers advertised as “fast” and “simple”, such as XNview or MyViewPad, I found really fast and simple the default image viewer of Windows. For some more power, get IrfanView. You can invoke your heavy image editor right from the Windows viewer or from IrfanView, if you usually do complicated editing; if you need to retouch a little your photos, you can invoke a lighter editor. 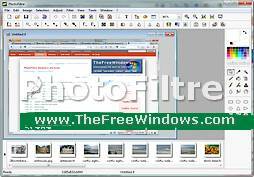 PhotoFiltre is a relatively fast, although complex enough, image editor, having also some useful browsing capabilities. It will let you perform easily retouch jobs, and it can also proceed to the next picture in the folder by just the pageup and pagedown keyboard keys, which means that once you open PhotoFiltre, you can continue viewing your pictures with it, instead of using again the default Windows or any other image viewer. See How to use PhotoFiltre and also make sure you check these posts on the best free image editors, viewers and animators and the best free photo album, slide show and gallery makers.